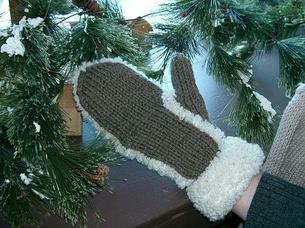 Knit yourself a pair of warm and cozy mittens that have the look of being fleece lined. The key is a new yarn called Woolie Bullie that creates the fluffy look. This is a great class for anyone who wants to learn how to knit with double pointed needles. You will also learn how to put stitches on hold and pick up stitches. Have you been afraid to knit with 2 colors? Fear no more! 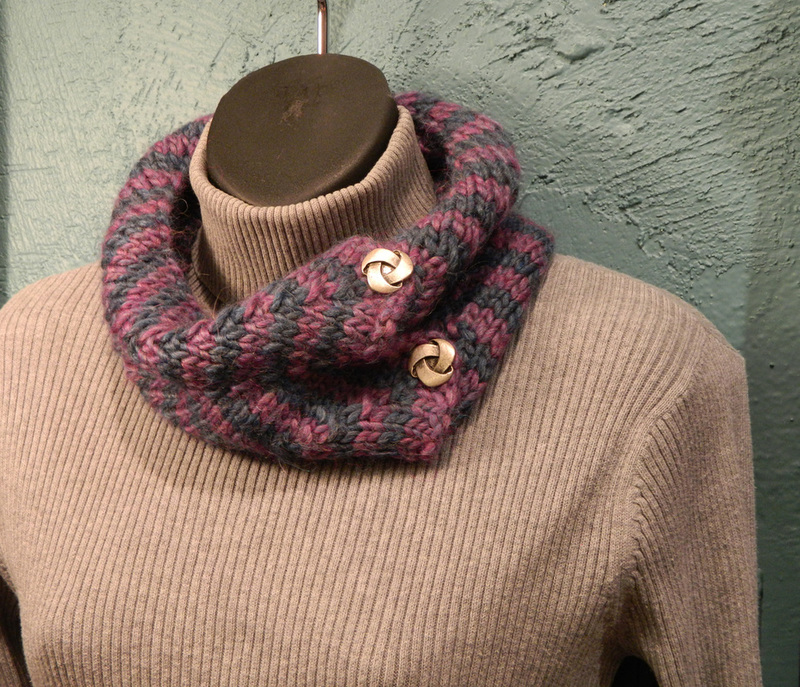 Learn how to knit with 2 colors and create a zig zag pattern in this fun striped cowl. You will also learn how to make a simple button hole. Whip up this super warm hat in no time. Super bulky yarn and size 15 needles make all the difference. 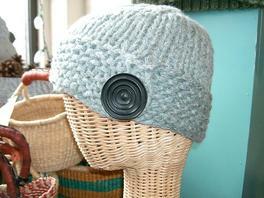 This is a great project for those who have never knit in the round before or used double pointed needles. 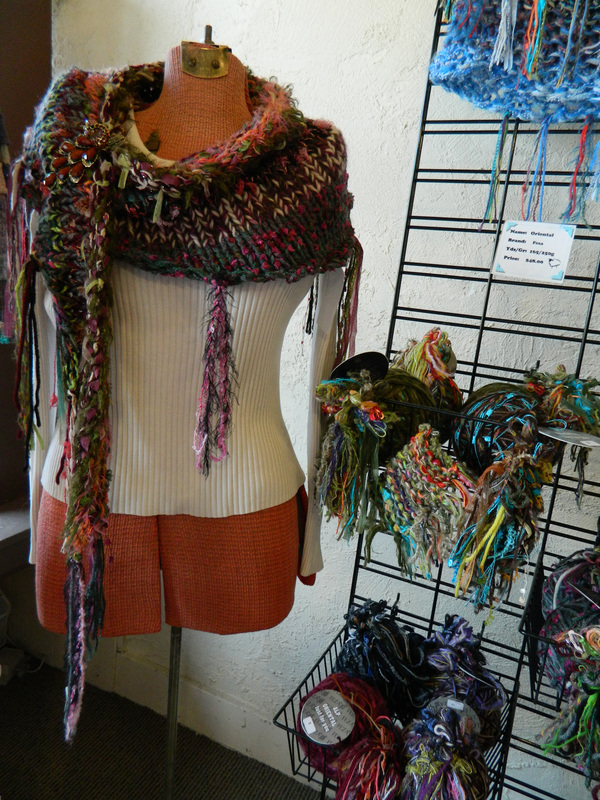 Would you love to have a knit shawl but don’t feel you’re ready for a really detailed one? 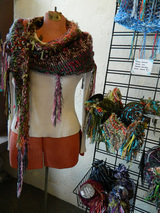 This multi-color, multi-fiber shawl is crescent shaped using easy stitches. This is a great class for those who have just learned to knit. You’ll learn the thumb cast-on, fringing and working with several strands at once. Size 17 - 24" circular needle. Learn basic crochet skills like chain, single/double/triple crochet stitches and much more. Upon completion of this class, you'll be ready for great things such as home decor items, scarves, sweaters and baby things. If that sounds good to you, join us!